They are now the most popular offering at casinos and are very easy to play. The major attraction for players is the jackpot, many of which are worth millions. The chance to win life-changing cash rewards is the motivating factor for diehard optimists who keep coming back for more. Slots machines, even the online versions, come in many colors, shapes, types, and styles. There are classic slots, fruit machines, video slots, progressive slots and much more to choose from. It’s all about spinning the reel in the hopes of striking a winning combination. Speaking of reels, most slots feature either 3 reels or 5 reels while you will find 7 reel versions as well. Some come with single pay-lines while others feature as many as 25 pay-lines. Slots are governed by random number generators or RNGs and are among the easiest games to play. Simply place your wager, select the number of lines to play and spin the reel. Each game features a pay-table with the winning combinations displayed along with the number of coins wagered. The objective is to get the right combinations of symbols on activated pay-lines. The more coins that are wagered the larger the payout. Slots don’t involve any particular skills or strategies. It is always recommended to sample a variety of slots machines before playing in real money mode. Check the payout rates and frequency of games that you are familiar with. It is most important to understand what symbols need to be hit to trigger winning combinations. The key is to play the maximum number of pay-lines at a coin value you can afford. In addition, make the most of bonuses and free spins. Remember, simpler slots games are likely to offer better odds. Rather than waste money playing five coins per line in a 1-cent game it is better to play one coin per line on a 5-coin game. If you are on a winning streak, don’t get tempted to spin the reel more. Set aside all your winnings and spin on if you must, but only with your original bankroll. Slot machines began their existence a while back. It was a different time so you can understand why the objective of these automatons wasn’t the same as it is now. In the interest of helping you get rid of all the silly notions that you can somehow apply magic to beat the house in its own game at the Slots machines, I will give you a few facts. Over the years, casinos have employed a wide plethora of tactics to keep people stimulated. Free drinks, attractive lights and girls. Learn how the slots work and the random number generator behind them. 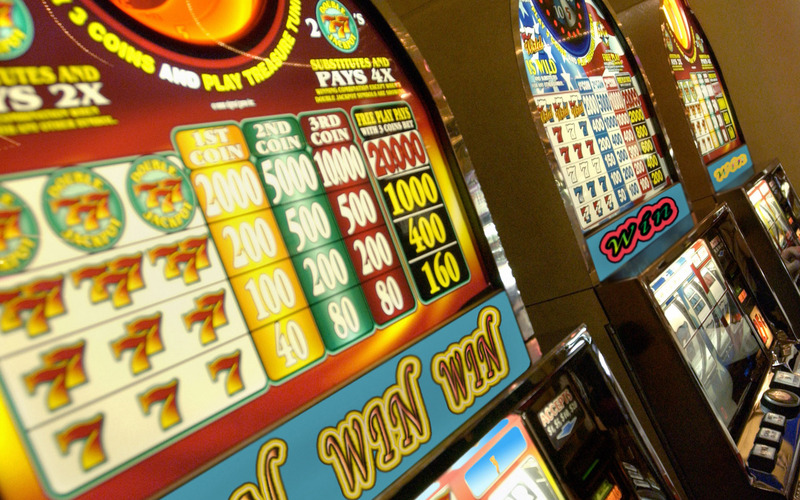 There seems to be a lot of mystery surrounding the otherwise simple Slot machines. In our gambling experience, we’ve been given thousands of tips and myths on how to play slot machines. Here you will learn more about the slots symbols: classic or traditional, special symbols and wild slots symbols. Here you will learn more about all types of slots: classic 3 reel slots, progressive jackpot slots, special 4 reel slots, video and multi line slots. In terms of House edge, Slots offer some of the worst bets in the casino. A Slots tournament is unlike anything you’ve ever seen. Usually tournaments would bid players against one another and will be based on skill and proficiency in a certain area.